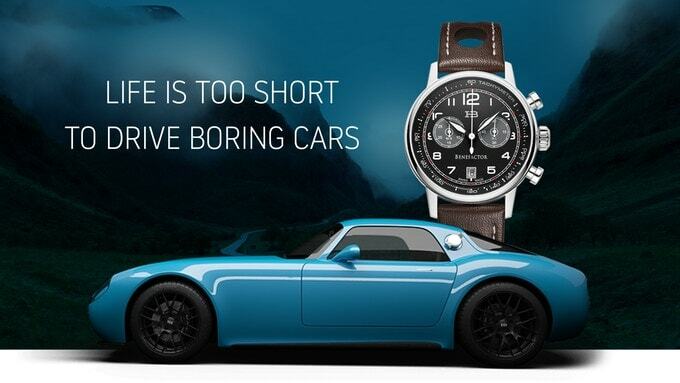 Over the years I’ve noticed car lovers are also watch lovers, there are a lot of watches that are “inspired” by cars. 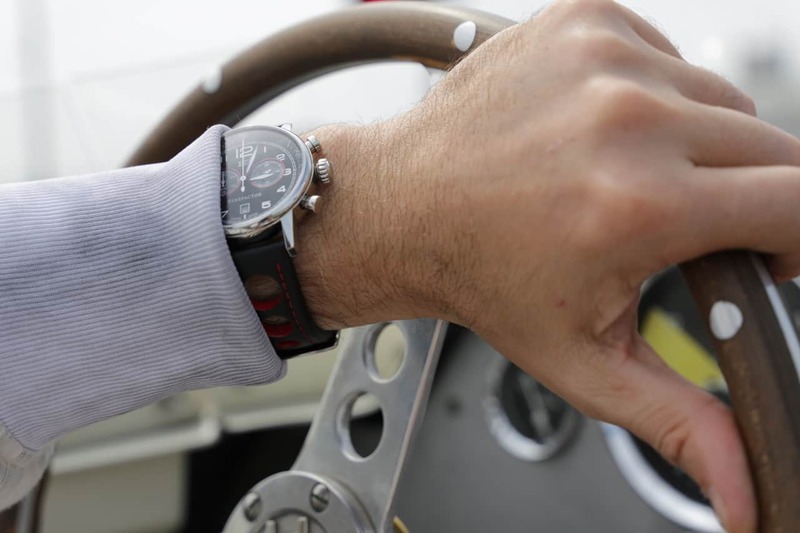 The watch we’re talking about today is also inspired by the interior of a car, but this watch is a little different. The HB Benefactor Chronograph 2018 watch is currently getting pledges on Kickstarter.com, which is nothing unusual, we’ve seen that before. The difference in this case is that the Huet Brothers (hence the HB watches), Paul and Tino, are raising funds via this kickstarter campaign to build a car, the HB Coupe. The HB Coupe takes the look of a classic sports car and has the technology of today. The car will be built around a full carbon fiber monocoque, will weigh only 1,764 pounds (800 kg), will have a choice of 170 or 248 horsepower engines, we don’t know yet what type of engines these will be. The interiors will have a classic look with modern technology and will be bespoke. A scale model has already been made, there’s already a team in place to build it, all they need is your support in buying these watches. Like I mentioned above, the HB Benefactor Chronograph 2018 watch is inspired by the interior of a classic sports car. The watches come in two versions, the HB Benefactor Classic and HB Benefactor Sport. Both versions come in two sizes, 42.5 mm and 40 mm cases. The watches are Swiss made and powered by Swiss Ronda quartz movement (5021.D.0001), the movement is gold plated and comes with 10 jewels, the battery is claimed to have a life of 54 months. The watches are water proof to 100 meters and even the leather strap is water proof. 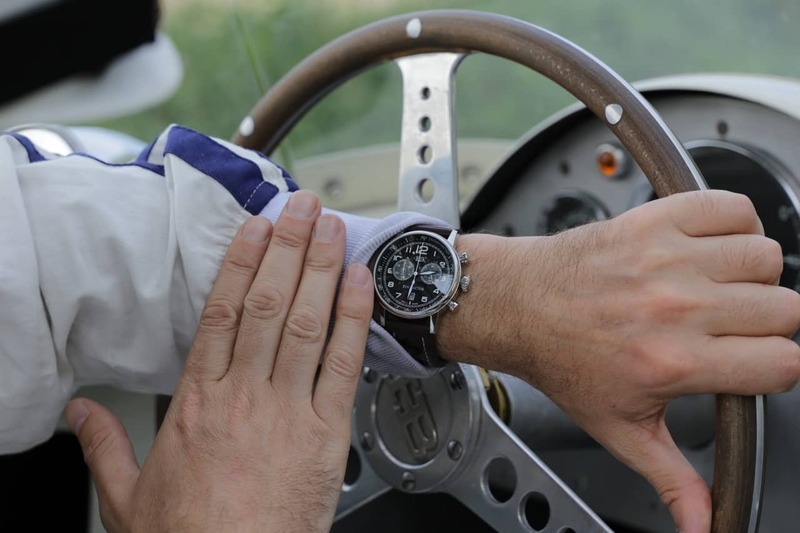 The dials of the watches are simple and clean, the main dial features two subdials, one for the seconds and the second one is for counting the minutes on the chronograph. 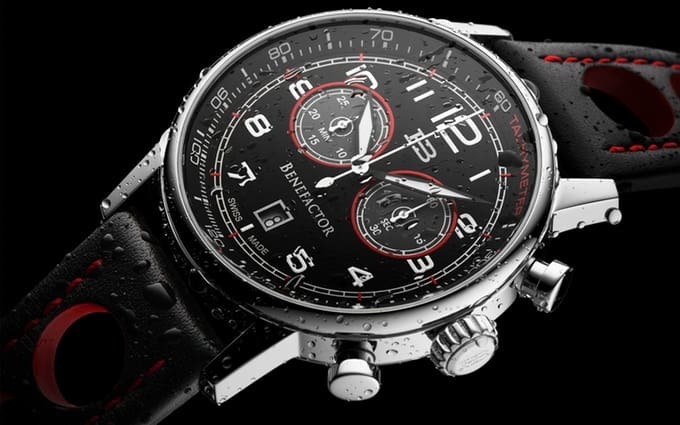 Both dials are black, the Sport features red highlights, which are also present on the black leather strap of the Sport. The Classic comes with a brown leather strap with white stitching. 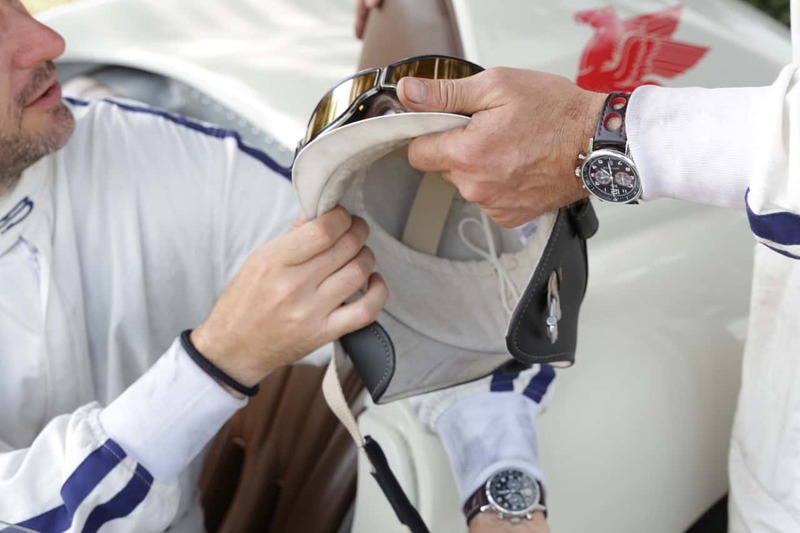 The watches feature double domed sapphire crystals and come with individually numbered case backs. I personally like both of these watches, but my favorite is the Sport, I have a soft spot of red highlights on a black background. HB watches are also offering a 10 year international warranty with these watches, which is unheard of on kickstarter projects. To own one of these watches, you’ll need to pledge €295 for one chronograph watch, you can pick which of the two watches and what size later. For higher pledges, you get more watches and a small discount.